In What If World's first mini-musical, Mama Jamma, Poppa Loo, Zack and Zizi get sent off into three different fairytales, courtesy of Jenkins, the trickster fairy. Can they learn their lessons and find their way back to each other? A HUGE thanks to Chris Kerrigan, who plays Jenkins and a few other characters, and who wrote all the original music and lyrics for this week's episode! Chris performs in and around LA and runs AllSTAR Cabaret, a theatre and performance workshop for kids in 3rd - 6th grade. If you're in the Los Angeles area and want to sign up to audition, visit AllSTAR Cabaret's website at http://allstarcabaret.starinc.org/. Thank you for supporting What If World! Want more? Check out our Imaginarium for T-Shirts & more, and connect with us on Facebook, Instagram, or Twitter @whatifworldpod! This week's episode is sponsored by HelloFresh. 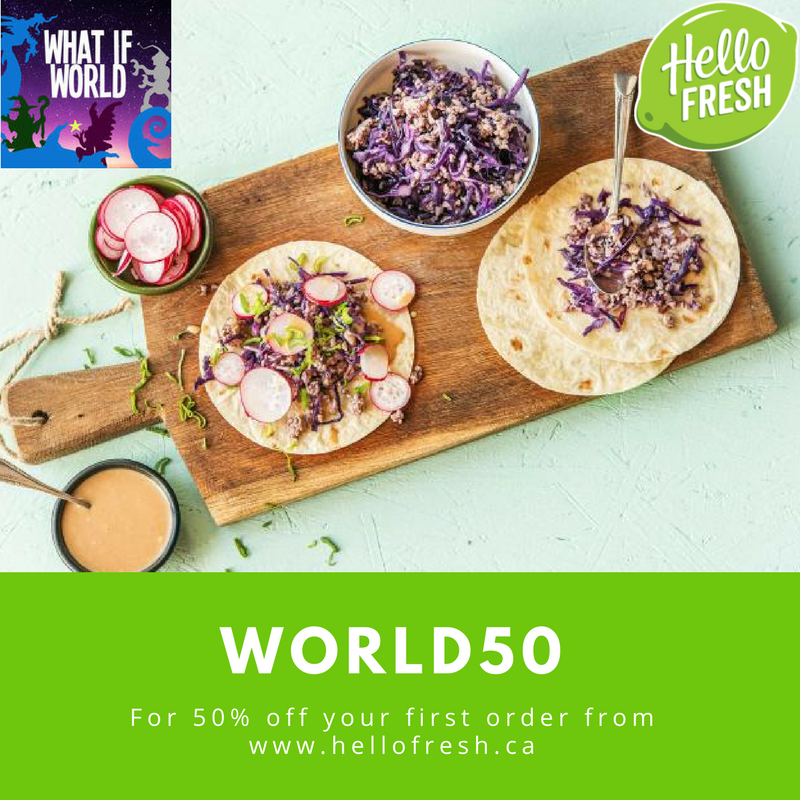 Use the code WORLD50 at checkout to get 50% off your first order and support What If World! What If World is hosted and performed by Eric O’Keefe and edited by Karen Marshall, with a theme song by Craig Martinson.